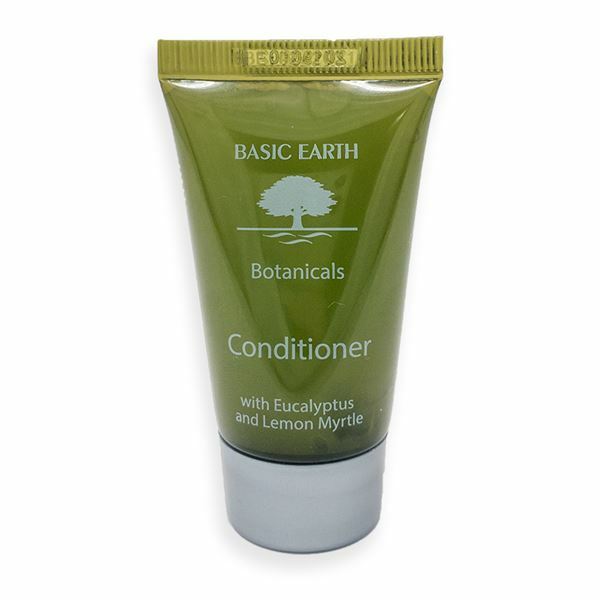 Basic Earth Botanicals is an affordable and environmentally sensitive guest amenity range. Elegant simplicity and quality ingredients combine to pamper the body and delight the senses. Basic Earth Botanicals liquids and vegetable based soaps contain the finest of additives, biodegradable contents and are fragrant with a citrus blend of Eucalyptus and Lemon Myrtle. Treat your guests with this modern fresh amenity line. We have been using the complete Basic Earth range for 3 years now. Having sampled many different products over a wide range of prices and am confident that this is not only an excellent quality product but extremely good value for money. Guests often comment on how much they like them. This conditioner is great. Firstly it is rich and creamy leaving your hair smooth and shiny. Secondly it's packed in a container that allows you to get the product out! So many of the individual containers are made of rigid plastic which you can't squeeze meaning a good proportion of the product is left in the container and wasted. I will certainly be ordering this again!